Many people purchase life insurance policies to take care of their families after they pass away. 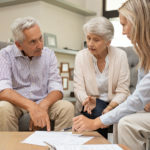 Family members can use life insurance proceeds in a variety of ways, such as paying off taxes or a mortgage, covering funeral costs, to replace lost income for the household, or to cover a major expense, such as college tuition for their children. While life insurance proceeds can be invaluable to your family, life insurance policies can present some issues with your estate and/or beneficiaries. To address these issues, you may want to consider forming an irrevocable life insurance trust (ILIT). What Issues Can Arise With Life Insurance Policies? So many life insurance policyholders focus on the benefits of a policy that they forget to consider possible drawbacks and how to address them. First, life insurance payouts often involve hundreds of thousands of dollars, if not more. When a beneficiary receives that much cash in a lump sum payment, they may not know how to manage it. 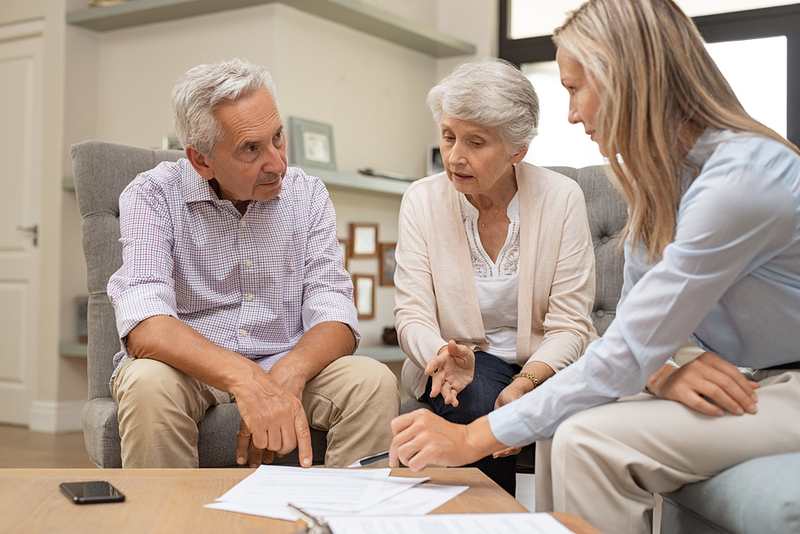 Even experienced and well-intended adults can have difficulty managing this type of windfall, and they may not use the proceeds as wisely as you would wish. In addition, some people you may want to be policy beneficiaries may be a recipient of Medicaid or other government benefits. If they suddenly receive the life insurance payout, it can immediately disqualify them from their benefits until they spend all the policy funds. Finally, if you have a large enough estate that you have concerns about possible estate taxes, your life insurance proceeds may only add to your estate for estate tax purposes. For individuals with substantial life insurance policies and already substantial estates, the policy benefits may result in unintended tax liability. Fortunately, forming an ILIT can prevent the above issues. When you create the ILIT, you transfer your policy to the ownership of the trust, then you select your beneficiaries and a trustee. You can include specific instructions regarding how and when the funds will go to your beneficiaries. This means that instead of a single lump sum payment, you can control the distribution of the proceeds over time if needed. This can preserve the funds, as well as protect beneficiaries receiving public benefits. An ILIT will also reduce the size of your estate, hopefully relieving estate tax concerns. There are some technical issues involved so that the insurance proceeds are not included in your taxable estate. Since you are no longer the owner of the policy, you cannot pay the premiums, but these need to be paid by the trustee. This can be accomplished by what is called a “Crummey power” where the premiums are paid by using your annual gift tax exclusions for the trust beneficiaries. There are a number of technical requirements for this to meet the IRS rules and prevent inclusion in your taxable estate. An ILIT is an irrevocable trust, which means that you can never transfer ownership of your life insurance policy from the trust. However, holding the policy in trust gives you much greater control and flexibility when it comes to the distribution of the proceeds. If you have questions about life insurance as part of your estate plan, please consult with the elder law attorneys of Goldfarb Abrandt Salzman & Kutzin LLP. We can help you explore your options, form an ILIT, select a life insurance policy, and much more. We help find estate planning solutions for each unique situation in New York. Call (212) 387-8400 or contact us online to set up an appointment today.